These brownies are as sugar, grain and dairy free as they can be. 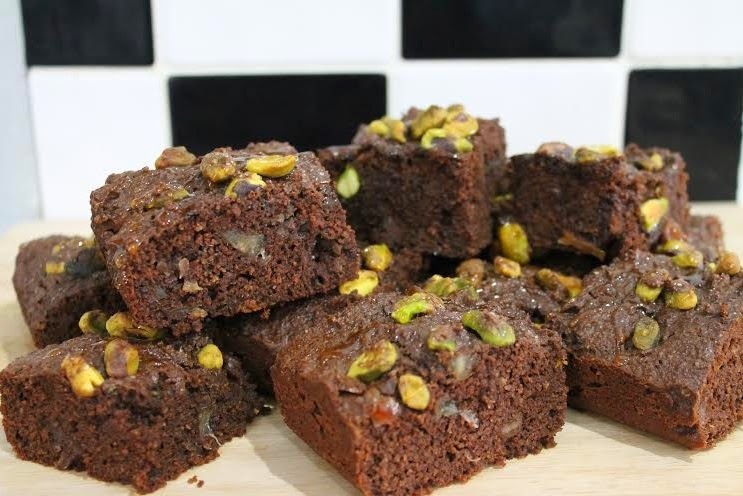 They aren't as sweet as your usual brownies but 100% cacao makes them deliciously rich and sumptuous - you'll only need to cut them into small squares to get your brownie fix. Mixture will be very thick, smooth with a spatula and top with pistachios. You might have to poke them in a little. Optional - I like to drizzle mine with honey as soon as they leave the oven to glaze those pistachios a little. Non-processed, natural, organic honey please if you do this.